So far in the daily April photos ‘from the archives’ we’ve seen that in the urban landscape some elements are vulnerable to removal (eg trees), and others seem likely to survive and remain in place (eg coal hole covers). Here’s another fine old thing, a survival, though it hasn’t remained in place. I didn’t have any photos in my archives for 3 April, so thought I’d go on a wander this evening and collect an image for today. Actually I have quite a few, enough for a fairly lengthy photo essay of the kind I used to do, but for now, as it’s late and I’m tired from my wanderings, this one will suffice. 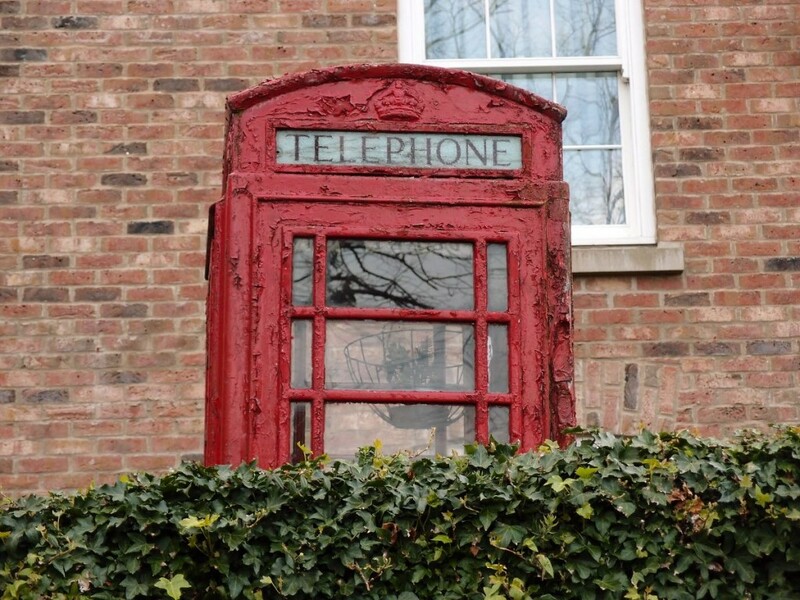 This old phone box is in the gardens of the Churchill Hotel on Bootham, clearly visible from Grosvenor Terrace alongside the hotel’s grounds. It appeared here a while ago, for no apparent reason. Its paint is faded and peeling, but it still has a cheering effect, with the top of it peeking over the top of an ivy-covered wall. Closer inspection reveals a hanging basket with a plant in it hanging up inside. So perhaps they’re using it as a small greenhouse. These were once such a familiar part of the street scene. A few remain, as previously mentioned. Two aren’t far away: there’s one on Bootham just a stone’s throw away, and another at the top of Marygate. Both hardly ever used. I hope the Bootham one will remain on the street, its handsome red against the greenery of the Bootham Park boundary. If not, perhaps the Churchill Hotel could take it in and line it up next to their existing example, so that we can all have a glance at them every now and then, and (for those of us old enough) remember what it was like to go into a heavy-doored glass and metal box in the street to make a phone call, before we started carrying our own phones around in our pockets.